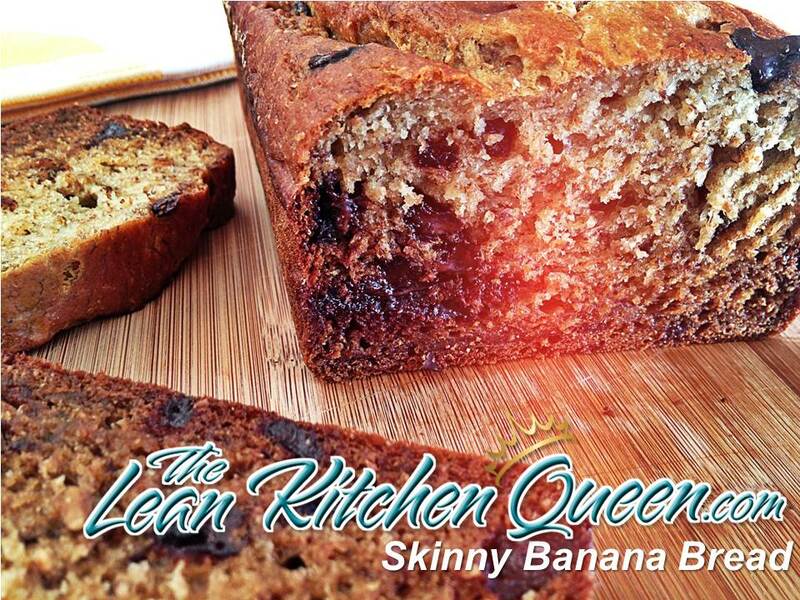 This scrumptious, low fat, low sugar, low calorie, healthier version of the classic banana bread recipe is one you will want to make again and again. Preheat oven to 325 degrees F. Grease a loaf pan with coconut oil. In a large bowl, whisk together flour, baking powder, baking soda, and salt; set aside. In another large mixing bowl, combine the egg and egg white with the coconut oil. Add, honey, greek yogurt, coconut oil, coconut milk and vanilla and beat on low until smooth in consistency. Add mashed banana and beat again until well combined, about 1 minute. Add the banana mixture to the flour mixture and combine until moist — It’s important to not over mix. Then gently fold the chocolate chips into the batter. Transfer the batter into the greased loaf pan. Bake for 45-60 minutes or until a tester inserted into middle of the bread comes out clean. Cool for 10 minutes in pan on wire rack, then remove from pan gently and cool completely on wire rack. 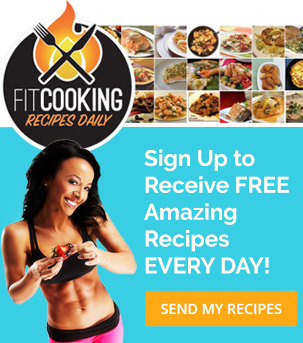 healthy recipes, everyday! Don’t miss out! delivered to your inbox everyday! 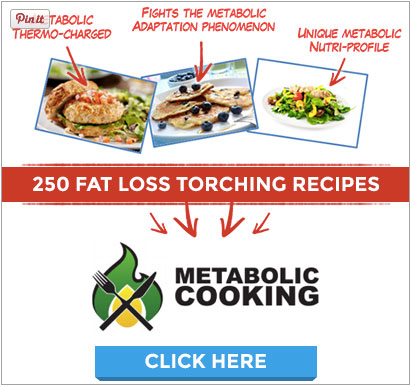 Loving the recipes you post and also both the Metabolic & Anabolic Cookbooks I bought. Just wondering for the recipes you post, anyway of setting it up so you can click on a button for a print friendly version? I keep having to cut and paste all the info into a Word document and then reformatting it. I look forward to trying this recipe! Yes that is the plan when I revamp the blog (soon). This is absolutely ridiculous! I actually created this recipe years ago using a combination of my two favorite recipes. The only, ONLY DIFFERENCE, is that I use blueberries instead of chocolate chips! How did you manage to come up with the same recipe?! 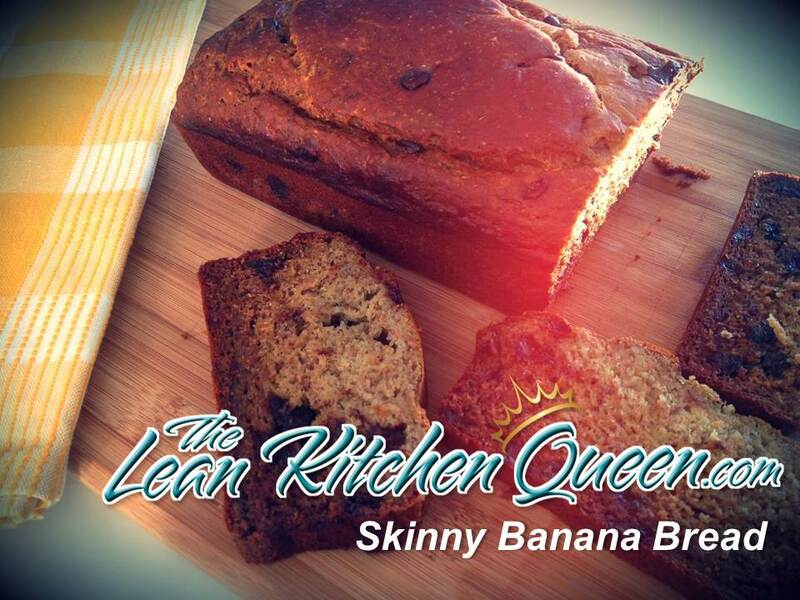 Well none of us invented the banana bread recipe and just like you I get the base of a lot of my recipes from existing recipes that I always try to tweak to make them original. Can you use an alternate flour with this recipe, almond or coconut flour? I never tried it but I guess it could work with these flours as well. This looks wonderful. How does it fit into the diet? Would I combine it with a protein for a mid AM snack? Any suggestions? I would love to be able to print out your recipes—-it is always such a hassle to have to copy and paste to a word document so that I can print…..However, I do love the recipes. Thanks. I tried your recipie tonight and the bread is delicious!!!! Awesome Veronica!! Glad to hear that!! Thanks for the recipe. Can I leave out the eggs as I don’t eat them? I do not like mushrooms, is there something I can replace them with? Karine Losier, co-author of Metabolic Cooking is also known as the “Lean Kitchen Queen” and has a strong passion for food, fitness, and culinary adventures. She gets excited about challenging the commonly used techniques that most chefs turn to while seeking out healthier alternatives. Simply put, she’s a real kitchen glamour renegade.